What do UQ, John Lennon, and Brazil have in common? They converge at the intersection of peacebuilding, public policy, and creating agents of social change. Thanks to the generosity of the HASS team who awarded me a Globetrotters Grant, I was able to participate in the International Public Policy Association (IPPA) and National School of Public Administration (ENAP)’s 4th edition of the International Summer School on Public Policy in Brasilia, Brazil from December 10-14, 2018, and Lennon’s quote was at the center of the course. The main objective of the International Summer School was to provide advice and knowledge on public policy theories, concepts, and methodologies in policy analysis. A mix of public policy practitioners, master’s and PhD level students attended the course. In total we represented twenty-seven countries! Each day, we attended morning lectures and afternoon workshops in small groups taught by internationally renowned scholars and policy experts. Professor M. Ramesh facilitated my group of policy practitioners and students from Brazil, Mexico, Costa Rica, El Salvador, and Australia & USA (both represented by me). Our task for the week was to first understand, assess, and critique the policy process. We came to understand policy as the intention to make a difference in people’s lives by addressing a problem to solve. However, we discovered there are challenges in this problematization related to untapped capacity for innovation and limits regarding communication strategies. Ramesh urged us to think outside the box to improve the process of policy design, implementation, and evaluation. Rather than trying to merely solve a problem, we took time to understand the problem itself, using case studies from each of our countries, research, and experiences. Some emergent themes to improve policy processes included defining success, building trust, improving communication, and allowing space for reflection and creativity to imagine new possibilities and approaches. Throughout the week we considered Albert Einstein’s idea, “If I had an hour to solve a problem, I'd spend 55 minutes thinking about the problem and 5 minutes thinking about solutions.” With this in mind, we each created and presented a policy brief to a mock president and shared feedback with each other. 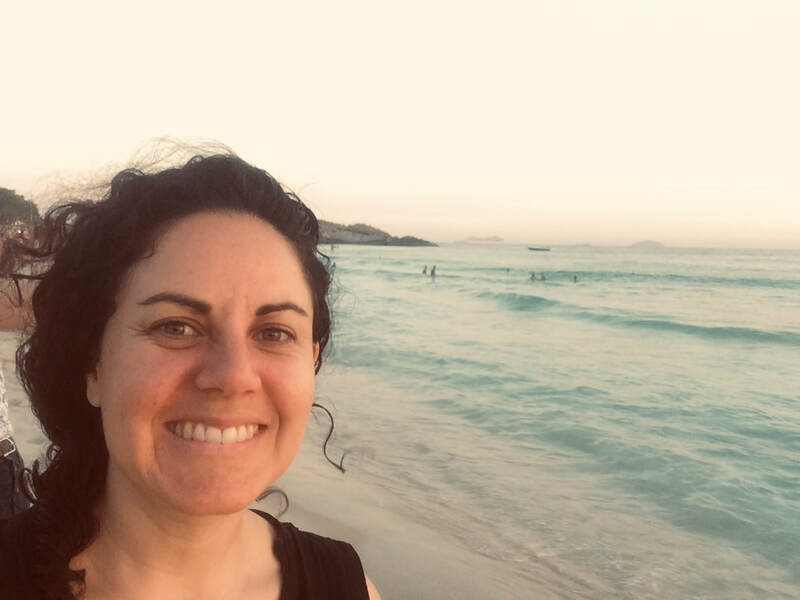 In addition to participating in and learning from the course in Brasilia, I made new international friends, developed an affinity for Pão de queijo (Brazilian cheesy bread), and attended a number of cultural activities including dancing to live samba bands. During a city-tour, a group of us happened to meet the Armenian Ambassador to Brazil and snapped a fun selfie with him. Additional outcomes of the course included mobilizing an international network, sharing and building upon experiences, and contributing to improve the quality of worldwide governance. After participating in the course, I now believe that John Lennon’s quote, “A dream that we dream together is reality,” is truly possible. Thanks again to HASS, the Globetrotters team, and especially to Dr. Prudence Brown from the UQ School of Political Science and International Studies for helping me make my dream of participating in the course and learning about public policy possible. ACTIVE LISTENING: Taking the time to listen to what the other person is saying can open pathways to collaboration and mutual understanding. A helpful acronym to add to your collection is WAIT: Why Am I Talking? Ask yourself this question and take a moment to reflect if what you want to say is actually useful or beneficial in this moment. A work around for team meetings when time may be limited is to use the Parking Lot tool. This can be a piece of paper where someone notes the additional ideas not on the meeting agenda and is accountable for following up thereafter. This ensures that people have a space to share their ideas and that their voices are heard. CLARIFY: Herein lies the Magic Question. When engaged in dialogue and practicing active listening and checking for understanding, a game-changing technique is to ask WHY. For example, someone is insistent upon changing a policy or that they are right, [insert your experience], you know you’ve been there. Arriving at this head-butting crossroads can often be frustrating. In order to problem solve collaboratively, ask WHY and be curious. Why is that important to you? ... Can you tell me more about that? Hi, I'm Michelle, a Researcher & Educator focused on the nexus of health, development, and peacebuilding.